The global bond market sell-off! “The currently tumbling bond market is pushing company pension deficits even further into the red. I would urge people to have their company pensions checked sooner rather than later. This is because it is likely that their values could fall further as most trustees have already made almost every change possible, such as raising retirement age and amending the amount of pension increases, yet the schemes remain extremely vulnerable.” Nigel Green, deVere Group’s founder and chief executive. 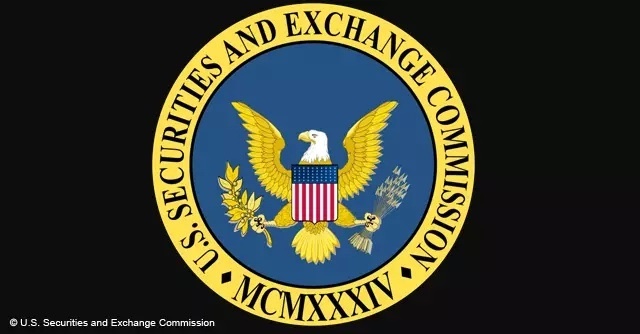 Money Market Funds: New Exit Suspensions & Exit Fees! Money market funds can impose a liquidity fee on redemptions if the fund’s weekly liquidity falls below the level required by regulations. Institutional prime money market funds are required to float the net asset value, or NAV, rather than keeping share prices fixed at $1. Note: An investment in a money market fund is not insured or guaranteed by the Federal Deposit Insurance Corporation or any other government agency. Although a money market fund seeks to preserve the value of your investment at $1 per share, it is possible to lose money by investing in such a fund. 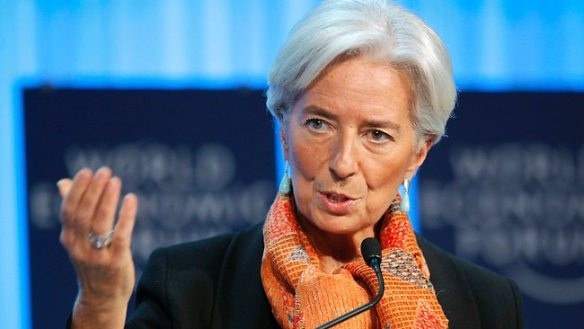 The new IMF proposal led with Christine Lagarde: Debt cuts for over-indebted states are to be performed more effectively in future by defaulting on retirement accounts held in life insurance, mutual funds and other types of pension schemes, or arbitrarily extending debt perpetually so you cannot redeem. The new IMF paper describes in great detail exactly how to now allow the private sector, which has invested in government bonds, to be expropriated to pay for the national debts of the socialist governments. Already in October 2013, the International Monetary Fund (IMF), suggested the Euro Crisis should be handled by raising taxes. The IMF lobbied for a property tax in Europe that should be imposed where there are no such taxes. The IMF has advocated for a general “debt tax” in the amount of 10 percent for each household in the Eurozone, which also has only modest savings. The money people have saved, the IMF maintains should be used for debt service by sheer force. To reduce the enormous national debt, they maintain that government has the right to directly usurp the savings of citizens. Whether saving money, securities or real estate, about ten percent could be expropriated. This is the IMF view. Because the government debt of the euro countries has increased a total of well over 90 percent of gross domestic product, they suggest that the people should sacrifice their savings for the benefit of the state. Socialism is no longer to help the poor against the rich, but to help the government against the people. The definition has changed. if higher taxes or drastic limitations of government spending did not meet, or could not be implemented. So you bought a 2 year note? Well, the IMF possible solution would be to simply extend the maturity. Your 2 year note now become 20 year bond. They do not default, you just can never redeem. Possible remedy. The preliminary ideas in this paper would introduce greater flexibility into the 2002 framework by providing the Fund with a broader range of potential policy responses in the context of sovereign debt distress, while addressing the concerns that motivated the 2002 framework. Specifically, in circumstances where a member has lost market access and debt is considered sustainable, but not with high probability, the Fund would be able to provide exceptional access on the basis of a debt operation that involves an extension of maturities (normally without any reduction of principal or interest). Such a “reprofiling” operation, coupled with the implementation of a credible adjustment program, would be designed to improve the prospect of securing sustainability and regaining market access, without having to meet the criterion of restoring debt sustainability with high probability. Now the June 2014 report has a new, far-reaching proposal. This shows how lawyers think in technical definitions of words. There is no actual default if they extend the maturity. You could buy 30-day paper in the middle of a crisis and suddenly find under the IMF that 30 day note is converted to 30 year bond at the same rate!? First it was Austria declaring it never guaranteed the debt, and then France announcing 60% of their debt is illegal, and now Argentina cannot repay its debt. Will bank accounts & pension funds get raided by the now legal Bail-In policy, to save the bond holders? Uncertainty about the government’s strategy pushed Argentine stocks down about 3.5 percent in Thursday trading. The 2nd U.S. 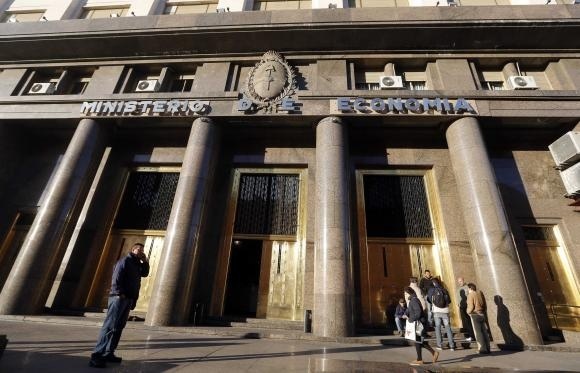 Circuit Court of Appeals ruled on Wednesday that Argentina can’t continue to pay creditors who agreed to restructure their bonds after its 2001-02 default on $100 billion in debt unless it also pays $1.33 billion to the holdouts demanding full payment. 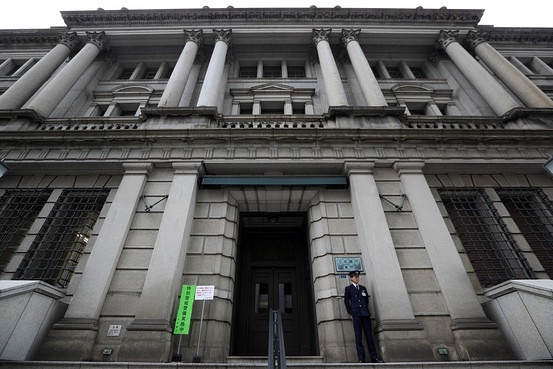 On Monday, the newest 10-year Japanese government bond — the yield on which is used as a benchmark for bank loans and a barometer of trust in government finances — didn’t trade even once. Traders say it is another sign of how the Bank of Japan’s massive bond buying program has silenced the market. If the 10-year JGB goes a full 24 hours without being traded, it will be the first time since Dec. 26, 2000, according to the Japan Bond Trading Co., which publishes rates. That seems likely, since most investors close their books at 3 p.m. Tokyo time. Link Massive BOJ-Buying Silences JGB Market !! Think about that word quadrillion for a moment or two, because understanding it will help you understand the scale of the debt crisis in Japan and much of the western world. Our parents thought a million was a very big number. Then a billion became the big number. Recently, a trillion entered the lexicon as a big number. A paltry million is the numeral one followed by six zeros. A billion? Nine zeros. A trillion is a thousand times bigger again at 12 zeros. But the mighty quadrillion is a one with fifteen zeros after it or 1,000,000,000,000,000 (as the eye strains). Compared with Japan, the United States national debt is a mere $17 trillion or so. But if you convert that number into yen, it comes to about 1.6 quadrillion. We laugh at children when they talk about bazillions and gazillions but a quadrillion is no laughing matter. Measuring any currency in quadrillions brings to mind the many hyperinflations seen in the 20th and 21st centuries. For example, the powerful and very wealthy Germany in the early 1920s and wealthy Zimbabwe, the breadbasket of Africa in 2008. Japan’s soaring national debt is already more than twice the size of its economy. Even at current all time record low interest rates, Japan spends nearly 50% of its tax revenues on interest payments. The Japanese 10 year government bond is trading at just 0.70% today. At borrowing costs of 2% to 3% per annum, two to three times current rates, Japan’s interest payments will be an unsustainable proportion of tax receipts. This is leading to and will lead to a surge in demand for gold as a hedge and safe haven. From tiny levels given the level of savings in Japan, investment in gold bars and coins more than doubled to 4.5 tons last quarter from 2.1 tons a year earlier, the World Gold Council data shows. Gold demand increased in recent months as a slump in the international market made bullion more affordable to investors. The Japanese government’s economic policy boosts expectations for inflation and the Japanese yen fell on international markets. The volume of gold trading on the bourse, known as Tocom, expanded 27% to 9.5 million contracts in the eight months through August 31st from a year earlier. Abe’s economic policy weakened the yen and boosted yen-denominated gold prices.